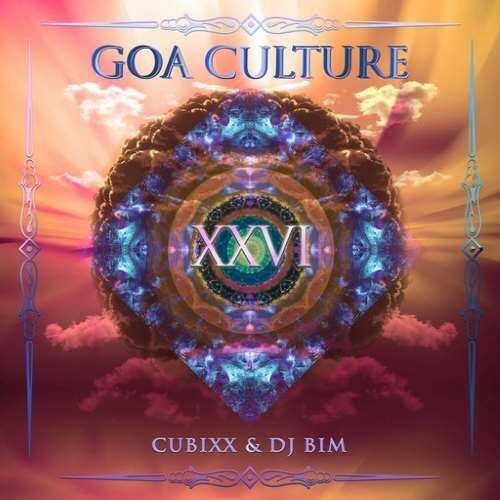 The Goa Culture Series goes in the 26th round and this time, it is a fantastic collaboration between Yellow Sunshine Explosion DJ Bim and DJ Cubixx owner of the well known Trance Label Iono Music. Goa Culture Vol. 26 is like every time an outstanding journey into the world of psychedelic progressive Goa Trance the ultimate soundtrack for the final 2017. This release contains music in the modern progressive and Goa Trance genre, with emphasis on groovy, powerful, uplifting and massive tracks, forming cutting edge musical journeys, and massive tools for DJs. Enjoy 150 minutes of the finest 'hands in the air' Dance Music from some of the most respected producers of this Planet like Flexus and Stayos, Impact, E-Clip vs Micky Noise, Yestermorrow and One Function, Static Movement, Out Of Range, Atomizers, Koi Boi, One Function, Divination, Party Heroes and Lost In Space, Cathar and System E, Impulser and Artmind, Maitika. This CD is a perfect journey throughout our scene, including unreleased tracks from Producers like Green Cosmos, Kristallklar, PehrBerg. We like to welcome you to this outstanding release of Y.S.E.